Echinacea purpurea ‘Raspberry Tart’. Masses of scented electric magenta blooms appear from midsummer into fall. Does best in full sun and well-drained soil. 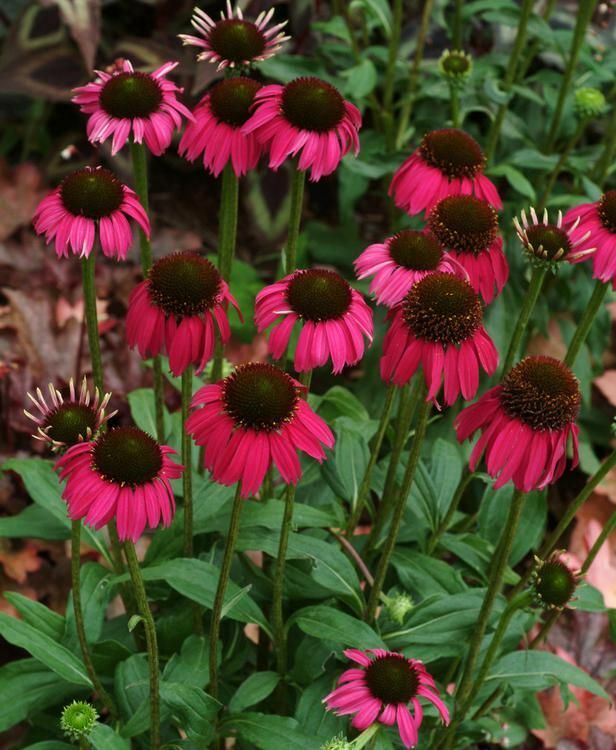 This dwarf perennial coneflower measures just 24 inches tall and 15 inches wide. Good for mixed borders and as cut flowers. USDA Zones 4-9. Terra Nova Nurseries.